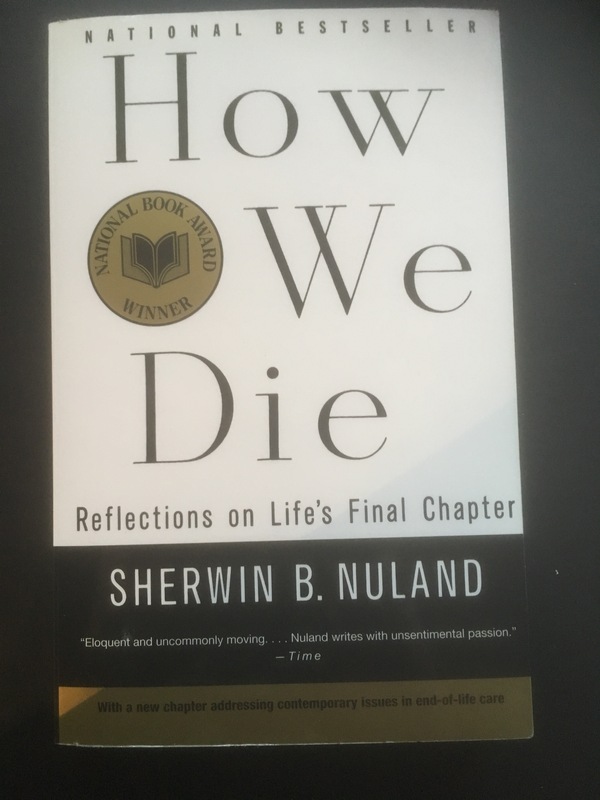 Dr. Sherwin Nuland, an American Surgeon who worked at Yale University, wrote one for the best books on death in our own era. How We Die: Reflections on Life’s Final Chapter was published in 1993 and is Nuland’s Socratic consideration on a subject which we must all contemplate sooner or later. Nuland considers this phase of life from the perspective of people dying from conditions as diverse as cancer and murder. What is most remarkable about this book on dying, as compared with many others, is that Nuland sought the advice of experts for each of the examples he uses in the book. This opens up the book as a resource to those of us in Canada contemplating what medical aid in dying will mean for us, first and foremost as persons who might use this resource, but also as health care providers. Health Care Providers have faced medical aid in dying with much trepidation since it goes many of our natural inclinations. As a member of the Canadian Council of Academies’ Expert Panel on Medical Aid in Dying, I have wanted to remind myself of the role and place of death in our lives and Nuland’s book has helped me to do this more than any other resource. Of all the stories in this book, I was most moved by Nuland’s account of the death of his brother from cancer. My own sister is dying – I have been writing about this in my blog – and so I can truly relate to Nuland’s struggle. It is a lesson we must all remember, those of us who work in health care: “Where my own brother was concerned, I had forgotten, or at least forsaken, the lessons learned from decades of experience.” (Page 231) This is exactly the reason we should never try to care for a family member or a close friend. Reading this book, with its extensive research and focus on what experts in various disciplines and patients have to say, is a reminder that Nuland is a life long learner. His inquiring mind and dedication to ongoing self-improvement is an example to all physicians that you can never know too much. This has been Nuland’s greatest lesson in all his work: always keep learning.